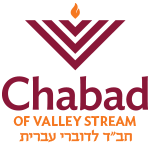 All Chabad of Valley Stream's classes are open to the public and are free of charge. Learn One on One with Rabbi Goldshmid at a time that works for you. Contact us to set up a one-on-one learning session.